Flash! 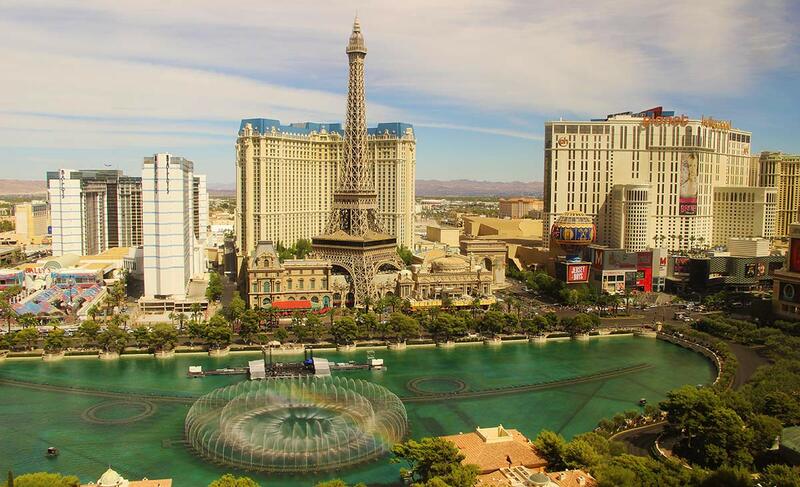 Get 5-Star Hotel Rooms in Las Vegas for Less than Cheap Motel Prices! share this great opportunity with you all. 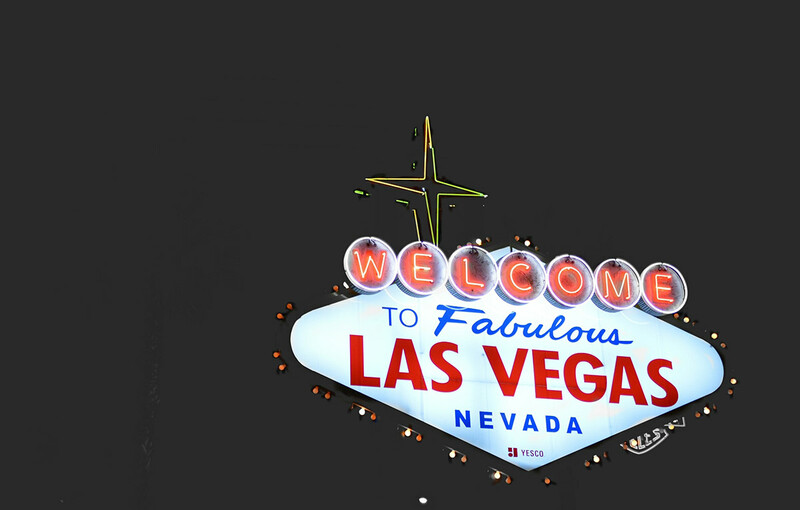 The iconic Welcome to Las Vegas sign welcomes visitors on the north end of The Strip. Photo by James Walsh. Hotwire Announces “The Million Dollar Sale” in Las Vegas! Do you love Las Vegas like I do? Or have you always wanted to visit “Sin City” but thought there was no way you could afford it? Well, I’ve just learned about a special Million Dollar Flash Sale on 5-star luxury rooms at some of the top Vegas hotels that will allow you to give yourself the Christmas gift of a quick holiday luxury getaway for less than the price of an off-Strip motel chain. How much will one of these luxe rooms cost you if you’re quick? How about…wait for it…$50US! FIFTY DOLLARS! I know it sounds too good to be true, but it’s not. I double-checked with Hotwire to get all the details for you. This is a genuine deal. But you have to act Fast! This special one-time promotion is likely to end in just a few days. Why is Hotwire Doing This? So, what exactly is Hotwire, and why are they spending a million bucks to make it easy for you to chill out from Christmas stress with a holiday from the holidays, and to do it in style? Hotwire®, an operating company within the Expedia brand, is a major discount travel site designed to inspire spontaneous travel through their “Hot Rate®” deals. To get you those deals, they negotiate deep discounts from travel suppliers for unsold airline seats, hotel rooms and rental cars. Then they pass those savings on to you. But even one of their usual Hot Rate deals isn’t going to get you this amazing kind of bargain on a 5-star room in Las Vegas, luxury rooms that carry an average holiday-season retail price tag of a whopping $432 a night. So they decided to take the extra step to get you there. The company is investing One Million Dollars to cover the price difference for anything more than 50 bucks over their usual Hot Rates prices. Why? Because they want you to see for yourself what Hotwire offers. And here’s a point to remember: WE, NomadWomen travelers of a certain age, deserve that kind of break. A survey conducted recently shows that millennials are much more likely than people in our age group to stay at a 5-star hotel. Only 13 percent of people over 55 in the US have spent one or more nights in this kind of luxury room. But why should the kids have all the fun and pampering? In my opinion, it’s definitely our turn! The sale is running NOW. As soon as available room inventory is exhausted or the company investment hits it’s million dollar mark, it will end. And that is very likely to happen in a matter of days. With the Hotwire Million Dollar Sale, you’ll definitely hit the jackpot on a luxury hotel room price in Las Vegas, IF you act fast. Photo by beckyb on Flickr. • The Million Dollar Sale is good for bookings between December 8-28, 2017. • Bookings are for a double room for a maximum two-night stay for two people at $50/night. • These rates do not include taxes or any additional hotel fees that might apply. But your total cost will be shown to you at check-out so you won’t be surprised by hidden fees. • During the booking process, you’ll be given details of the participating hotels, such as amenities, general location and access to Hotwire and Trip Advisor reviews. • BUT, as usual with Hotwire’s booking process, you won’t know the name of your actual hotel until you finish the checkout process on the Hotwire site and your booking is complete. But don’t worry, because nearly all of Vegas’ premiere luxury properties are participating in the sale. • Visit Hotwire.com and look for hotels in the search box. • Select Las Vegas as your destination. • Choose up to two-nights between December 8-December 28. • Select your hotel from the list of properties by location and amenities—make sure you select a five-star property to get the best deal. • Check out to find out which property you’ll be staying at. 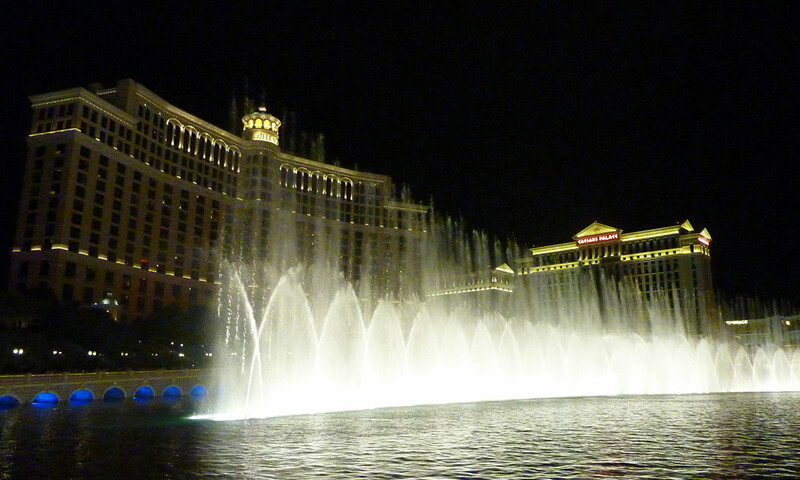 Watch the ethereal dancing fountains at the Bellagio Hotel on your Las Vegas getaway. Photo by Sean MacEntee on Flickr. Anyone who’s been reading NomadWomen for a while already knows I love Las Vegas. I’ve shared some of my childhood memories of this one-of-a-kind desert town while visiting the Neon Museum. I’ve shown you my favorite downtown neon sign on Fremont Street. I’ve even told you where to find my favorite thing to eat in Las Vegas (yum yum for real frozen custard!). But Las Vegas for the holidays is really something special. The over-the-top Christmas decorations everywhere, like the 600,000 lights at Ethel M Chocolate’s Holiday Cactus Garden. Like the ethereally lovely holiday botanical displays at the Hotel Bellagio’s atrium Conservatory and Gardens. Like the special holiday-themed shows. Like the Food! And the Shopping! Or how about just relaxing poolside in 90 degree weather while your friends back home are freezing and stressing out? Just outside Las Vegas, you can hike amid the striking colors of Red Rock Canyon. Or the more adventurous can go sky-diving over the desesrt! Photos by Olenka Kotyk (left) and Sky Dive Andes on Flickr with CC license (right). And you really don’t need to confine yourself to the Strip. If you love the outdoors, head out to Red Rock Canyon, just 30 minutes away, for a beautiful hike. Or drive 30 minutes in the other direction for the quaint antique stores of Boulder City and the grandeur of Hoover Dam. Visit one of several museums. Speed along Fremont Street downtown on the zipline (and no, you’re not too old for a zipline. If I can do it, so can you.) Get a massage or other spa treatment. Or even go sky-diving over the desert! Las Vegas really is a place like other, a sort of giant theme park for grown-ups; and you owe it to yourself to see it at least once, especially during the Christmas season. Get your $50 luxury 5-star hotel room in Las Vegas NOW on Hotwire®,. Because these amazing deals will be gone in a few days. https://i2.wp.com/www.nomadwomen.com/wp-content/uploads/2017/11/las-vegas-strip-panorama-aldric-rivat.jpg?fit=1200%2C730 730 1200 Donna http://www.nomadwomen.com/wp-content/uploads/2014/11/logo-340.png Donna2017-11-18 21:06:002017-11-23 19:03:48Flash! Get 5-Star Hotel Rooms in Las Vegas for Less than Cheap Motel Prices! Wow! I am sad that I changed my Christmas plans now…. Great deal!! Indeed, Melody. I’m thinking of jumping on this tomorrow, to take my sister for a pre-Christmas treat! I’m catching up on my reading AFTER the promotion period, but that’s OK. 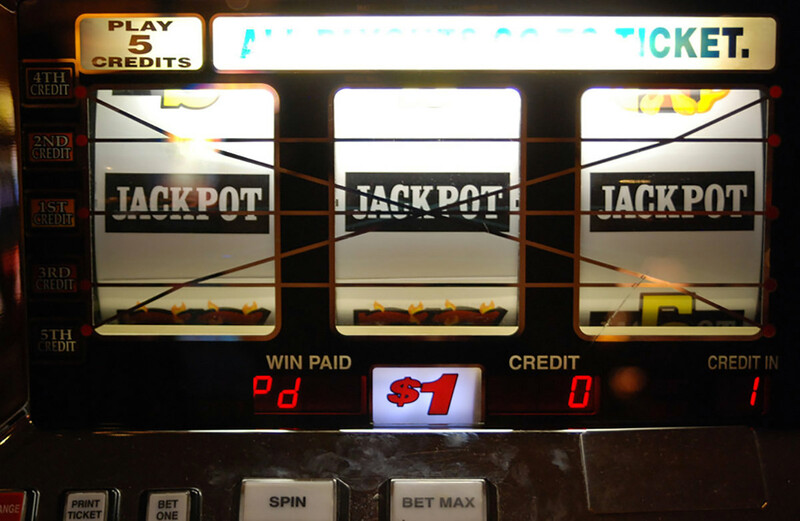 This is a good reminder to circle back to you–and Hotwire–next time we go to Vegas.